This Ontario couple has become a regular at the LCBO buying Charles Tort by the case! We love to hear stories like this... especially because it means we've made both our wine providers and our wine drinking customers very happy! My husband and I live in the wine region of Niagara. We love wine. We travel and visit wineries all over North America and Europe. A few months back, we were introduced to Charles Tort Côtes du Rhône and were told that it was a great value. 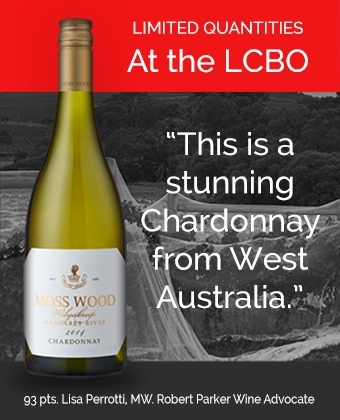 When we looked at the price point in the LCBO ($13.75) we thought it was definitely worth a try. We are also fans of Riedel glasses – and have a set of the Vinum Series. Whenever we bring a new bottle of wine home, we test it to find the perfect fit. We know from experience that the right glass can transform the drinking experience. With Charles Tort, the perfect fit is the Riedel Pinot glass. Literally, this $13.75 bottle of wine turns into the equivalent of a wine we would easily pay $30-40 to enjoy. 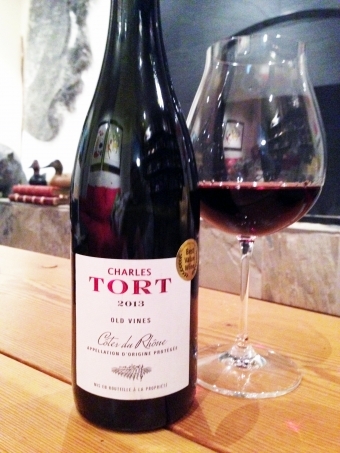 We are now into our third case of Charles Tort from the LCBO, and have told all our friends about it. We thought you might be interested in this story... and here's a photo to show you the exact glass.